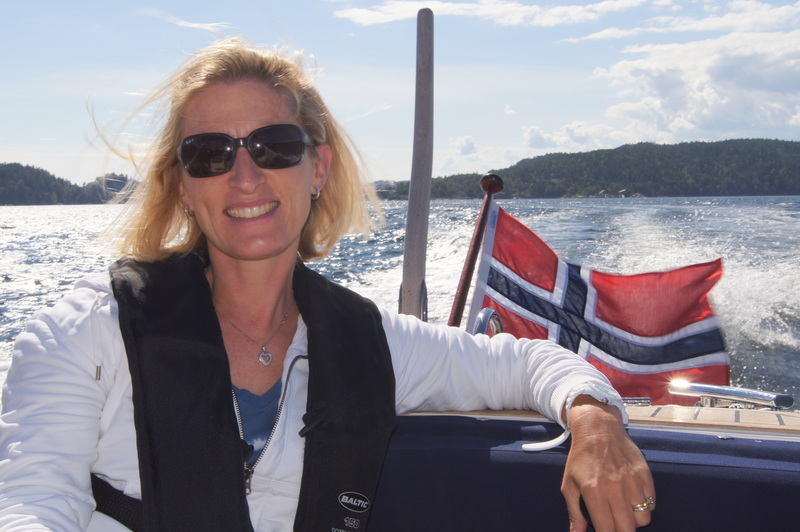 Little Norway is making a name for itself in the big world! I love hearing news of Norway’s influence, or Scandinavia’s in general, out in the big world, especially in the U.S. and when it gets close to home here in Los Angeles. The winter Olympics is always a fun time to be Norwegian. Lately, though, Norway is making a name for itself in other areas as well. Whether it’s film, podcasts, books, music, or sports (besides skiing), there’s something for every Scandinavian enthusiast right now. Here’s a round-up of various Norwegian “sightings” outside of Norway and Scandinavia. How many are you already familiar with? Right now Angelenos can see The 12th Man, a film about Norwegian history by Norwegian director Harald Zwart. It has a limited engagement at Arena Cinelounge in Hollywood (released in the U.S. on May 4). 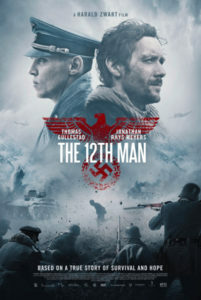 It is a World War II-set thriller based on the true story of Jan Baalsrud, a Norwegian resistance fighter who was the only one of his 12-member group to escape the Nazis when their sabotage mission failed. The movie follows him as he tries to make his way to neutral Sweden through the Arctic landscape. The Los Angeles Times writes, “World War II-set Norwegian thriller ‘The 12th Man’ has the right stuff.” Catch it before it moves on… There’s even a book, Defiant Courage: A WWII Epic of Escape and Endurance by Astrid Karlsen Scott and Dr. Tore Haug, for those who are particularly curious about Jan Baalsrud’s experience. Another movie to feature Norway is soon-to-be-released Mission: Impossible – Fallout. 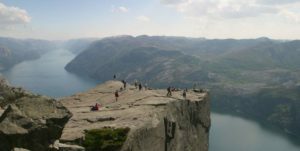 Norway’s iconic mountain plateau Preikestolen (The Pulpit Rock) in Western Norway is where Tom Cruise does a spectacular stunt. The movie opens in the U.S. on July 27. View the official trailer with a glimpse of the scene at Preikestolen. 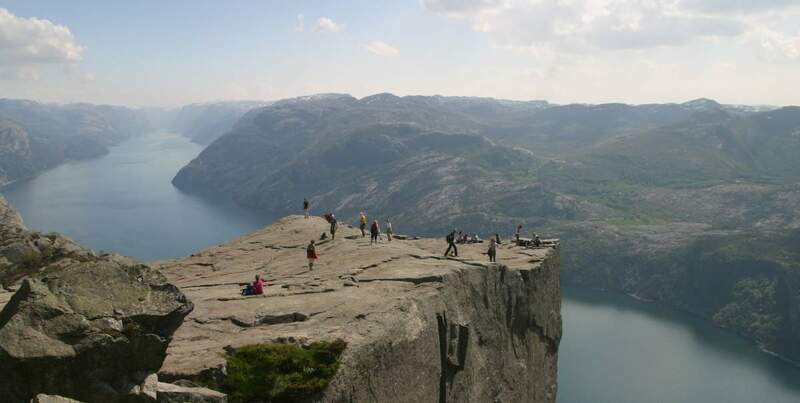 A hike to the top of Preikestolen is actually on my Norway bucket list so I’ll be eager to see this movie. The Rain isn’t a Norwegian creation but rather a Danish one. 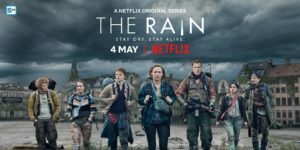 It’s a brand new original 8-episode Netflix series that was released May 4. 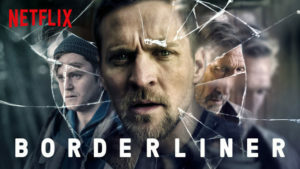 It’s about two siblings who, six years after a brutal virus wipes out most of Scandinavia’s population, join a band of young survivors seeking safety and answers. 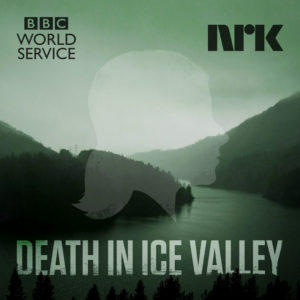 Also going on right now is the new podcast Death in Ice Valley. It explores the still unsolved mystery surrounding a female body found in Norway’s Isdalen (Ice Valley), near Bergen in Western Norway, in 1970. Producers hope to solve the mystery with the help of modern technology that wasn’t available back then and with input from listeners from around the world. There’s even a Facebook group where members can view and further discuss the evidence provided in each episode. The first episode was released April 15, and a new episode drops every Monday. If true crime, cold cases, mystery, and intrigue are your thing, especially with a foreign touch, then this podcast may be of interest. I’m currently listening to it as the episodes drop and am curious to see how/if this case is resolved. Norwegian authors are also making a name for themselves outside of Norway. 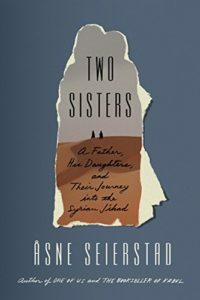 Åsne Seierstad, an award-winning Norwegian journalist and author, recently wrapped up a U.S. book tour promoting the English release of her latest book Two Sisters: A Father, His Daughters, and Their Journey into the Syrian Jihad. One of her stops was Los Angeles where she participated on a panel at the LA Times Festival of Books discussing the rise of extremism. I had the pleasure of hearing her speak and meeting her at the book signing afterwards. Coincidentally, my Scandinavian Book Club choose this book to read in the fall and I couldn’t be more eager to read it. Demian Vitanza is a Norwegian author and playwright who recently participated in the literary event 2018 PEN World Voices Festival: Resist and Reimagine in New York City. In his latest book, This Life or the Next (to be released in English on October 9, 2018), he tells the story of a young Norwegian-Pakistani man imprisoned for traveling to Syria and taking part in terrorist actions. 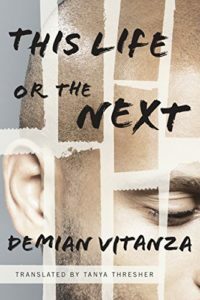 “I want you to write my story,” the young man told Vitanza in 2015 when Vitanza was teaching a writing class in one of Norway’s high security prisons, “but it needs to be in the form of a novel.” (Source: NORLA). My parents recently gave me this book in Norwegian and it seems like it will be the perfect companion read to Åsne Seierstad’s Two Sisters. 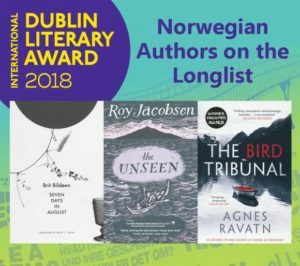 Three Norwegian novels made it to the longlist for the 2018 International DUBLIN Literary Award: Seven Days in August by Brit Bildøen, translated by Becky L. Crook; The Unseen by Roy Jacobsen, translated by Don Bartlett and Don Shaw; and The Bird Tribunal by Agnes Ravatn, translated by Rosie Hedger. 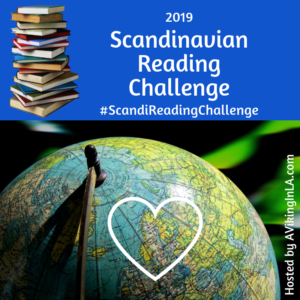 Danish novel One of Us Is Sleeping by Josefine Klougart, translated by Martin Aitken, and Swedish novel Britt-Marie Was Here by Fredrik Backman, translated by Henning Koch, also made the longlist. The only Scandinavian book to move on to the shortlist was The Unseen. Winner will be announced June 13. It’s been a busy time for Norwegian musicians abroad as well! Kygo, Sigrid, Aurora, and Alan Walker all played at Coachella Music Festival in April in Indio, California. Coachella was apparently one of the biggest crowds Kygo has ever played for. Kygo is now wrapping up his “Kids in Love Tour” in Canada and Northeastern U.S. After Coachella, Sigrid was a guest on The Tonight Show Starring Jimmy Fallon (watch appearance here). Kygo will be performing on The Tonight Show on May 14, and Aurora will be performing on Late Night with Seth Meyers on May 23. Los Angeles’ Major League Soccer club LA Galaxy signed two Norwegian players for the 2018-19 season, Jørgen Skjelvik and Ola Kamara. The LA Galaxy also has Swede Zlatan Ibrahimovic, so Scandinavia is well represented. 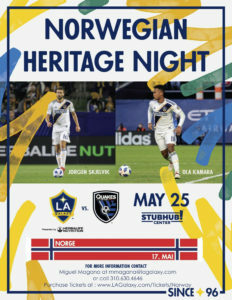 And in case you’re not already aware, in honor of Norway’s Constitution Day (May 17) and the signing of its two Norwegian players, LA Galaxy will be hosting a special Norwegian Heritage Night at Stubhub Center in Carson on Friday, May 25. 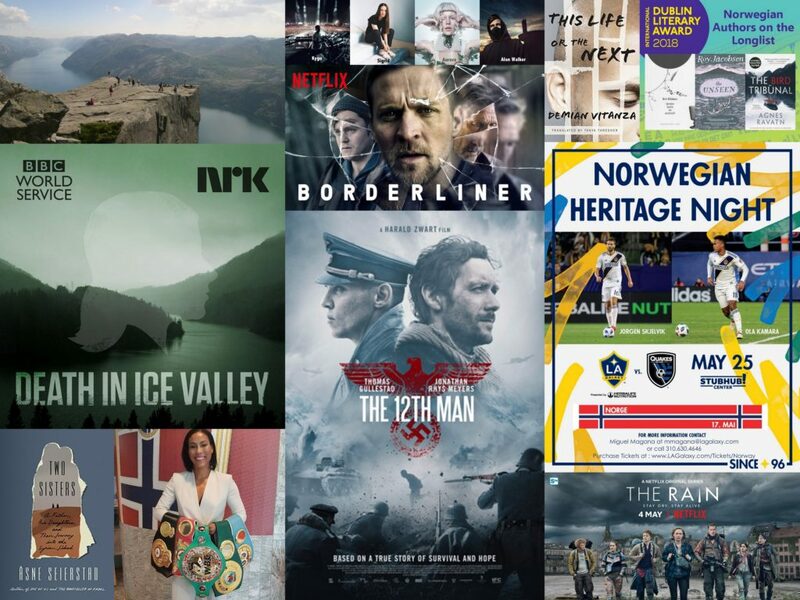 For more information on this event and how to buy tickets, please visit Los Angeles Culture Challenge: May 2018 (17th of May Celebrations & LA Galaxy Norwegian Heritage Night!). Norway is also making a name for itself in boxing, female boxing to be precise, with Cecilia Brækhus (5 fast facts you need to know). Earlier this month in Carson, California, Brækhus not only continued her whole career win streak and defeated her opponent keeping her titles, but Brækhus’ match was also the first female boxing match to be aired on HBO in the cable network’s 45-year history of boxing coverage. I hope you enjoyed this eclectic round-up of recent Norwegian sightings in the bigger world. If I missed anything, I’d love to hear about it in the comments.